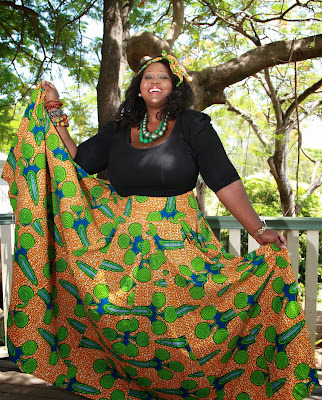 A space for me to connect, to share, to inspire, to be inspired, motivate, to be motivated, to be ME with all that I AM! "I am back" Saying these words makes an assumption that somehow I had disappeared from the face of world. However I have been around, I have been busy being mom to my 5 year old gorgeous little boy Xavier Setso, I have been busy building my professional career as a mental health professional in the area of Transcultural Mental Health, I have been busy giving my time volunteering with the African Australian community in Queensland, which has earned me the tittle of "Community Leader" a tittle of which I use but not necessary the title that defines me. I call myself a Motswana woman, a mom , a wife, a leader, small business owner, mental health advocate, social cohesion and social inclusion and social justice nerd etc. Big words that means nothing to those who don't know me. This special space for me in the world wide web is a place where hopefully you will get to understand many of these aspects that makes me the woman I am. I will share my ideas, I am hoping to inspire, to be inspired and to be all that I am here. I am a passionate woman, resilient, driven, determined, loving, caring, woman strong in my faith, generous, just to name a few. I never left - but I AM HERE! 2012 is the National Year of Reading and Brisbane Libraries will be offering programs across the city in support of this year. In the next couple of weeks, I will put a list of African books to borrow at some of these libraries. If you have just visited my blog and wondering why I havent been updating it, well I have a very good excuse. In the last year, I have been very busy creating life. On the 27 March 09, I gave birth to my absolutely gorgeous son, Xavier Setso Cross. What a blessing he is to my life. Please join me for this open book club session as I will be discussing books by great African authors. Some of these books will be available from the Holland Park library. Come lets celebrate African Literature! Mma Precious Ramotswe, Botswana's own first lady detective, her agency set at the foot of Kgale hill, Gaborone. When her father dies after a hard life as a miner, she inherits a decent sum of money left for her by him. 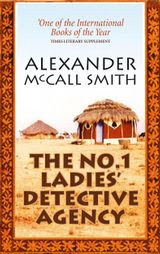 Mma Ramotswe invests it all in a detective agency proudly named "The No.1 Ladies’ Detective Agency." She solves her cases with common sense and bravery. Her cases include cheating husbands, insurance scams and even distrustful fathers. Eloquently written, charming, with a wry sense of humour. This book has now been adopted into film shot entirely in Botswana, directed by the late, Anthony Minghella and starring Grammy ward winning star, Jill Scott. They call her a child of all Africa. She is half Indian, half African, beautiful & intelligent. Brutalised by the South African police at the age of she is only sixteen. Her fear of the white man leads her to join the black resistance movement, where she trains as a terrorist. 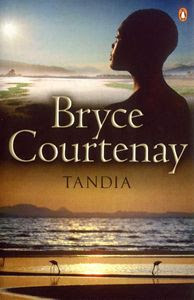 With her in the fight for justice is the one white man Tandia can trust, the welterweight champion of the world, Peekay. Am from a land down south of the Mother continent, Africa, where people still live in harmony with the earth`s elements. Where wildlife gracefully roam the high and low velds, where serenity and calm cloak the land in brilliant sparkle of diamonds, where the only thing which supresses the beauty, is the experience of being there..Botswana is where I am from.